You loved him as the father on TV’s “The Wonder Years.” Now meet him in a new role: The Godfather. 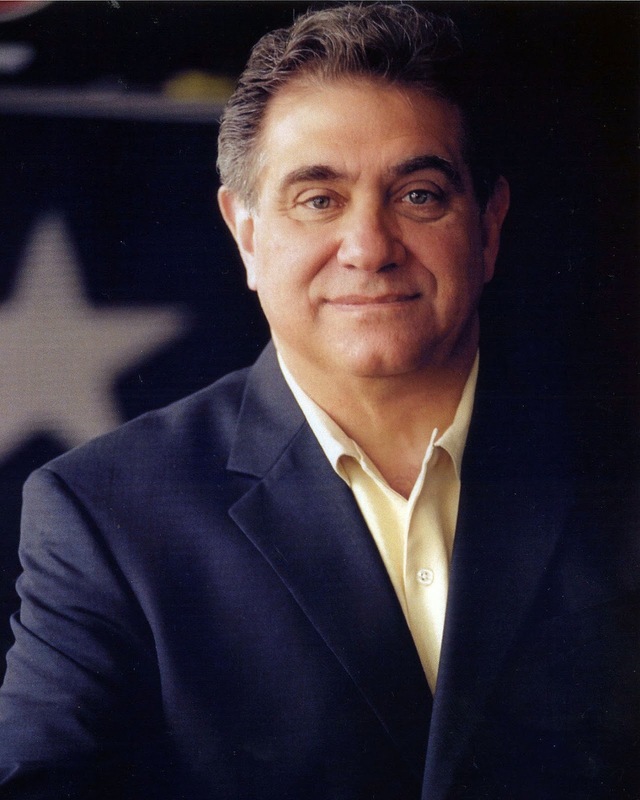 Actor Dan Lauria, in conversation with Channel 3’s Scot Haney, will discuss his career and the collection of children’s stories he created for his godson, Julian, at a special event Thursday, Nov. 7 at the Mark Twain House and Museum, 351 Farmington Ave., Hartford. 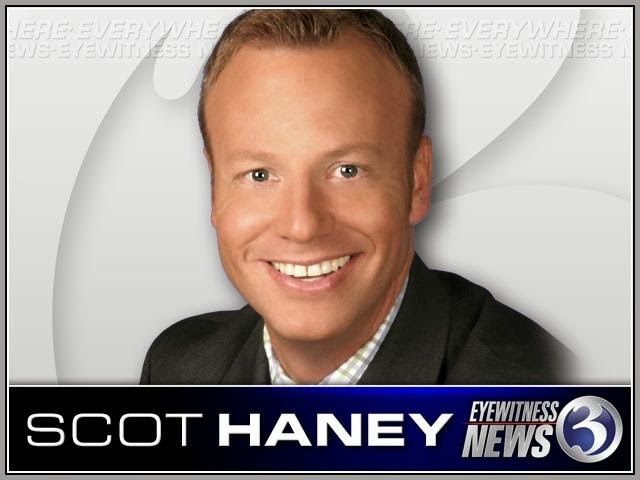 The star of A Christmas Story, the musical, playing at The Bushnell Nov. 12-17, will sign copies of his book, “The Blue Hair Club and Other Stories,” the first in the Godfather Tales Series, following the program with Haney, which begins at 6 pm. Proceeds from the books’ sales benefit a charity assisting single moms and Julian’s education. 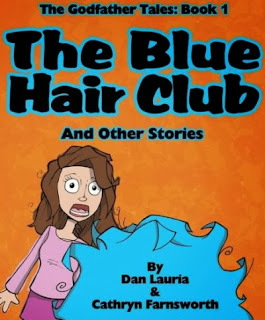 Books (geared toward kids aged 5-10) may be pre-ordered at http://shop.marktwainhouse.org/ or 860-280-3136. A Christmas Story’s famous “leg lamp” will be on hand, along with “Ralphie’s” pink bunny suit from the show for photo ops with the kids. Drawings will be held for tickets to the show at The Bushnell and for CDs of the musical’s soundtrack. Refreshments, including some “Oh, fudge!,” courtesy of the show, will be served and kids from the cast of A Christmas Story will be on hand to read excerpts from the book. The event is being presented free of charge. Questions or more information: bookauthorpub@yahoo.com. Dale Hodges and Raymond McAnally reprise roles as etiquette expert Mrs. Mannerly and her 9-going-on-10-year-old student in Jeffrey Hatcher’s brisk and funny memoir play opening the 2013-2014 season at TheaterWorks, Hartford. Mrs. Mannerly is Hatcher’s recollection of being a nerdy, Little-League-challenged kid who finds his calling in mastering the table settings, napkin folding, dinner conversation and social graces taught by Mrs. Mannerly, an elderly woman who has seen generations of kids pass through her manners class offered at the local YMCA. Lighting Designer John Lasiter provides a nice “switch” effect which Jeffrey uses to stop and start action between his memory, spoken to the audience as an adult, and the action taking place against a “Greetings from Steubenville, OH” postcard when he was a youngster in 1967 (set design by Brian Mehring). Jeffrey, dressed in knickers (costume design by Rebecca Senske), arrives for his first class, along with classmates Ralph, Chuckie, Kim and Jamie (all also played by the talented McAnally), who compete for the honor of earning a silver spoon pin, given by Mrs. Mannerly for exceptional displays of etiquette knowledge. Those who mess up, by asking “What?” instead of “I beg your pardon?” for example, are fined a quarter, however. Kim quickly masters the art of arranging silverware and glasses in the correct manner with the precision of a sniper assemble his rifle in the dark for a kill. Chuckie morphs into brown noser, Ivy League wannabe “Charles,” and awkward Ralph tries to master the art of conversation while wiping his ever-draining nose. Unengaged, gum-chewing Jamie takes it all in stride with a “whatever” attitude. McAnally, directed here by Ed Stern, gives an amusing performance as the collection of kids. The scene where he meets up with an older, more experienced girl for the dance portion of the etiquette lessons is particularly funny. Using just the different eye glasses worn by the two characters for props, McAnally manages to have a humorous makeout session with himself that leaves both the couple and the audience rolling on the floor. As the other kids are expelled from the class for various offenses, Jeffrey suddenly realizes he might be the only one who has what it takes to shine and earn a perfect 100 on the end-of-course exam given in front of the ladies of the Daughters of the American Revolution. A feat that never has been accomplished before. The teacher and student start to develop a relationship outside of class, but Jeffrey finds Mrs. Mannerly’s denial that she’s ever been to Chicago, and her panicky reaction every time the city’s name is mentioned, very mysterious. He knows she was there years ago, because he saw a program from a theater where she starred during her actress days as Helen Anderson Kirk. Just what is Mrs. Mannerly hiding and will it interfere with Jeffrey’s pursuit of a perfect score on the etiquette test? 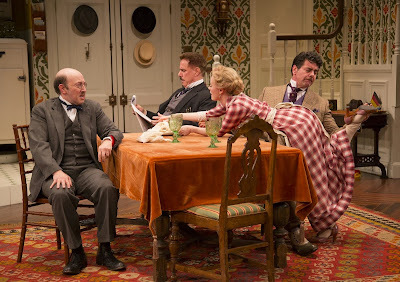 The play is fun with a run time of less than 90 minutes. It could use a few tweaks -- some of the hyperbole is exaggerated a bit too much and the story gets off track at times – but overall, it’s entertaining. Hodges shines in a scene where the perfectly coiffed (wig design by Kelly Yurko) woman lets her hair down while belting back Scotch at the bar housed below the apartment she rents. She tends to shout and whine a little too much for an etiquette expert, however. 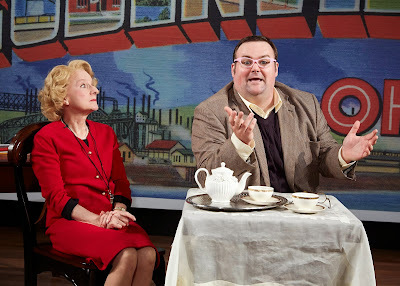 Hodges and McAnally, who have a good on-stage rapport, performed these roles in a previous production of Mrs. Mannerly in Cincinnati. 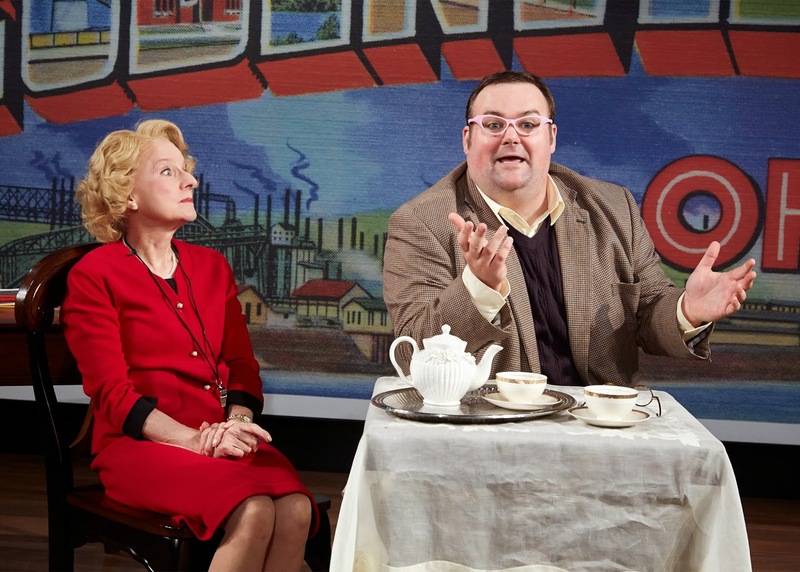 Mrs. Mannerly runs through Nov. 17 at TheaterWorks, Hartford. Peformances: Tuesdays, Wednesdays and Thursdays at 7:30 pm; Fridays and Saturdays at 8 pm; Weekend Matinees at 2:30 pm. Tickets $15-$50 (860) 527-7838; www.theaterworkshartford.org. 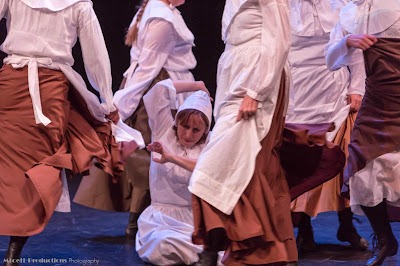 Heart-thumping tales of women and men accused, tried and convicted of witchcraft in mid 17th-century Connecticut are cast from the past into the present through a newly re-imagined staging of “The Witching Hour,” a dance-theater piece by The Ensemble of Judy Dworin Performance Project. A free, pre-Halloween preview will be presented on Tuesday, October 15 at noon at the Old State House, 800 Main Street. Performances of “The Witching Hour” are Friday and Saturday, November 1 and 2, at 7:30 p.m. at the Wadsworth Atheneum Museum of Art’s Aetna Theater. This historically informed work won the National Award of Merit from the American Association of State and Local History after its premiere in 2007. It revisits what happened in Windsor, Hartford and Wethersfield, Conn. when witchcraft was punishable by death – predating by nearly half a century the notorious trials in Salem, Mass. – and when rigid Puritan authority censored the outspoken and bedeviled the herbalists, midwives and indentured servants, among others, who practiced cherished folk traditions. Vividly depicting how fears of difference can turn dangerous, and how designating scapegoats seems to appease the hysteria of mob mentality and other social ills, “The Witching Hour” invites comparison to contemporary problems of prejudice and persecution, such as bullying, intolerance, and gender injustice. Stories of Connecticut’s accused witches are told by the character of Katherine Harrison (performed by guest actor and dancer Lesley Farlow), which is based on a real-life Wethersfield landowner who escaped hanging through banishment. Among those stories is the first witch trial in Colonial America, resulting in the hanging of Alse Young of Windsor in 1647 at the site where Hartford’s Old State House was built. Larger than life size puppets by Anne Cubberly that she created for the original production, which was a collaborative venture with Connecticut Landmarks, will be seen in a lobby installation. Dance-theater artist Judy Dworin believes that the arts can serve as a catalyst for change. In works produced by the Judy Dworin Performance Project and created by Dworin in collaboration with associate artistic director Kathy Borteck Gersten and The Ensemble, questions of history, equality, and social justice, and the potential for transformation within the individual and society at large, are thought-provokingly explored in a blend of movement, spoken word, song, and visual elements. Judy Dworin was a 2012 honoree at the Connecticut Women’s Hall of Fame induction ceremony that celebrated women of “Voice and Vision.” That same year the Judy Dworin Performance Project received an Award of Merit from the Connecticut League of History Organizations for “In This House,” a work inspired by the history of the 1678 Joshua Hempsted House in New London. In 2010, the Judy Dworin Performance Project was presented with the Hartford Courant Tapestry Award for its efforts at bridging diverse community sectors, which includes teaching and mentoring children in the Hartford Public Schools, children of incarcerated parents, and inmates of York Correctional Institution, the state’s sole prison for women. Ticket prices are $25, $15 for seniors and Let’s Go! Members and $10 for students. To purchase tickets call (860) 527-9800. Tickets will also be available at the door. The Wadsworth Atheneum Museum of Art is located at 600 Main Street; the entrance to the Aetna Theater is through the museum’s Avery Memorial, across from the Traveler’s building on Atheneum Square North. Judy Dworin Performance Project is able to present this timely performance thanks to the Department of Economic and Community Development’s CT Office of the Arts, Greater Hartford Arts Council’s United Arts Campaign, Simon Konover Fund, and Connecticut Humanities (CTH). 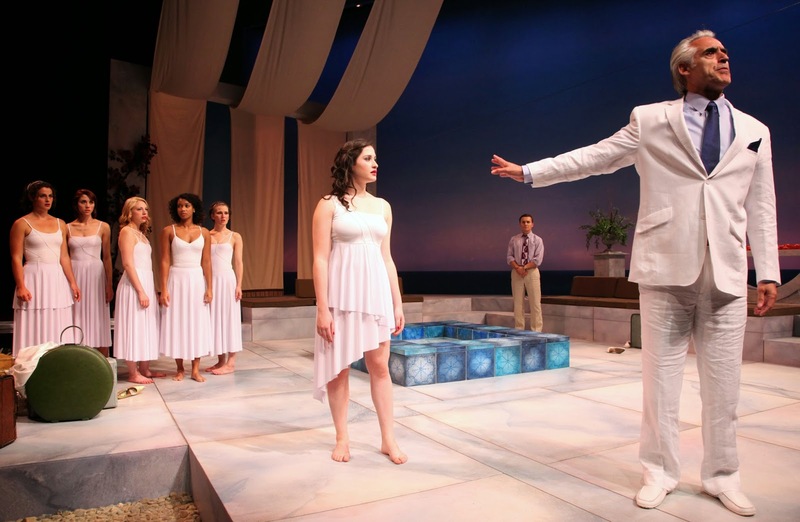 CTH is a non-profit affiliate of the National Endowment for the Humanities that funds, creates and collaborates on hundreds of cultural programs across Connecticut each year. CTH brings together people of all ages and backgrounds to express, share and explore ideas in thoughtful and productive ways. From local discussion groups to major exhibitions on important historical events, CTH programs engage, enlighten and educate. Learn more by visiting www.cthumanities.org. 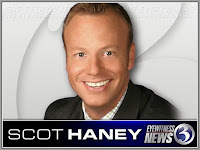 Special thanks are extended to Connecticut Landmarks, Connecticut’s Old State House, Hartford Public Schools, and Trinity College. Winner of the Newbery Medal in 1959. Photo courtesy of Seven Angels. From the iconic songbook of Johnny Cash comes this unique musical about love and faith, struggle and success, rowdiness and redemption, and home and family. More than two dozen classic hits—including “I Walk The Line,” “A Boy Named Sue,” “Folsom Prison Blues,” and the title tune—performed by a multi-talented cast, paint a musical portrait of The Man in Black that promises to be a foot-stompin’, crowd-pleasin’ salute to a uniquely American legend! Richard Maltby, re-conceived his Johnny Cash tribute specifically for a five-member ensemble, and making its Connecticut premiere at Seven Angels. "Most of the songs in the show are songs people already know. And yet put together in an evening, they tell a story. Johnny had the soul of a poet, and when you listen to these songs together you hear something in them that is surprising. It's the story of America.” -- Richard Maltby Jr.
Don’t miss these special food and drink nights and matinees. Directed by two-time Tony® Award-winner Des McAnuff, Jersey Boys won the 2006 Tony® Award for “Best Musical,” the 2006 Grammy Award® for “Best Musical Show Album,” the 2009 Olivier Award for “Best New Musical,” the 2010 Helpmann Award for “Best Musical” (Australia), and continues to break box office records on Broadway and across North America. It has been seen by over 16 million people worldwide (as of September 2012). 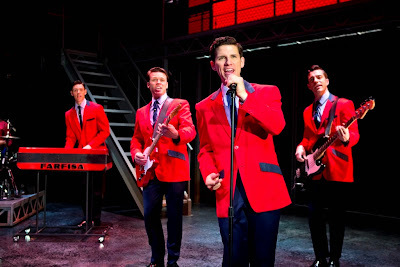 Jersey Boys is written by Academy Award® -winner Marshall Brickman and Rick Elice, with music by Bob Gaudio, lyrics by Bob Crewe and choreography by Sergio Trujillo. Jersey Boys is the story of Frankie Valli and The Four Seasons: Frankie Valli, Bob Gaudio, Tommy DeVito and Nick Massi. The musical details how a group of blue-collar boys from the wrong side of the tracks became one of the biggest American pop music sensations of all time. They wrote their own songs, invented their own sound, and sold 175 million records worldwide - all before they were 30. Jersey Boys opened at the August Wilson Theatre on Broadway to critical acclaim on November 6, 2005. The musical’s First National Tour opened to rave reviews in San Francisco on December 1, 2006, played a record-breaking run in Los Angeles and is still breaking house records in cities across North America. Jersey Boys is currently playing in New York; London; Las Vegas; Brisbane, Australia; and across the US on two National tours, and it is coming soon to Adelaide, Australia; Singapore; and Johannesburg, South Africa. 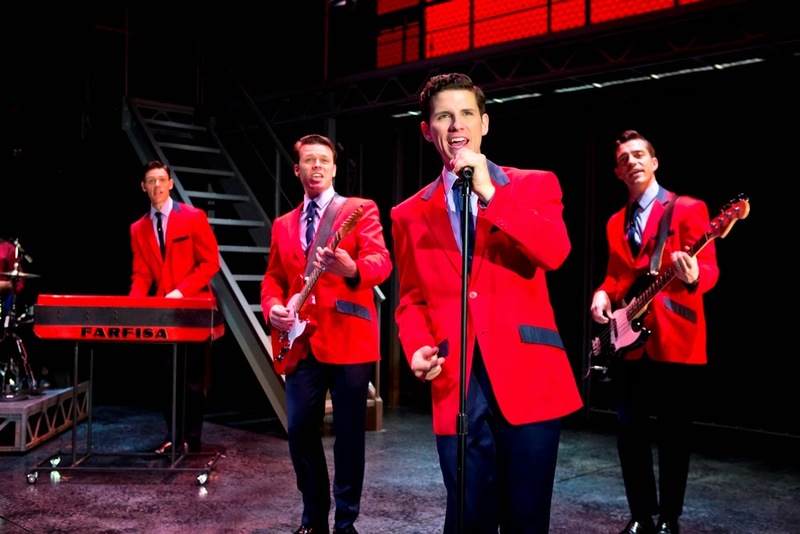 The Original Broadway Cast Recording of Jersey Boys, produced by Bob Gaudio, was recently certified Platinum by the Recording Industry Association of America. The cast recording is now available on Rhino Records. Jersey Boys: The Story of Frankie Valli & The Four Seasons (Broadway Books) is the official handbook to the smash Broadway hit. Seasons Greetings: A Jersey Boys Christmas, a new holiday CD featuring international cast members of Jersey Boys, produced by Bob Gaudio, is now available on Rhino Records. Performance schedule, prices and cast are subject to change without notice. For more information, visit www.JerseyBoysTour.com orwww.palacetheaterct.org. The Mark Twain House and Museum's Annual 'Mark My Words' event -- three wildly popular authors interviewed by a celebrity host -- has become a mainstay of the Connecticut literary scene. 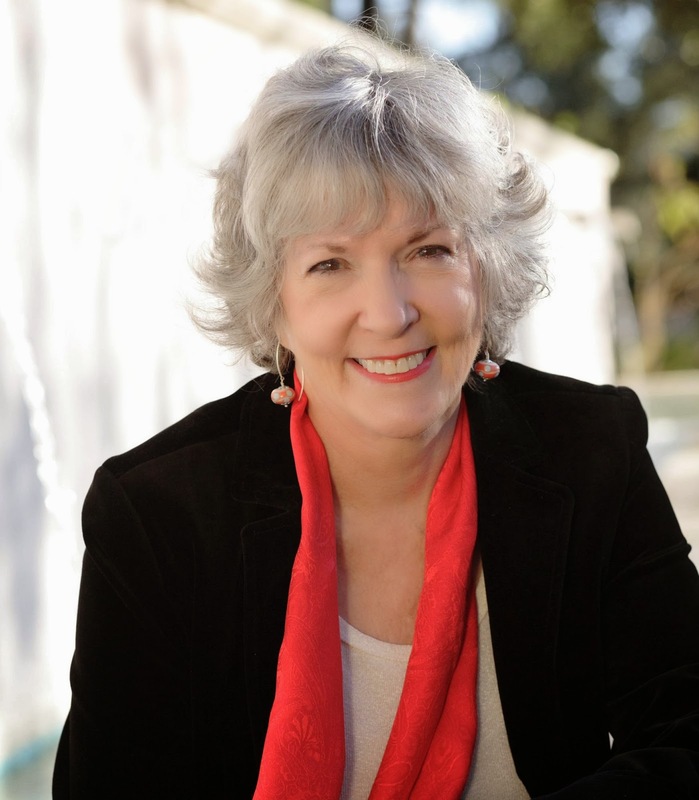 The third conversation in the series features Sue Grafton, Alice Hoffman and Scott Turow. Grafton's Kinsey Milhone alphabet mysteries ("A is for Alibi" was just the start); Hoffman's acclaimed novels, and her unexpected new guide to living; and Turow's tales of power and the legal life are so beloved and popular that these authors have a total of nearly 150 million books in print. All have produced numerous New York Times bestselling titles. The on-stage conversation will be moderated by Baldacci, himself an author of massively popular and complex political thrillers. 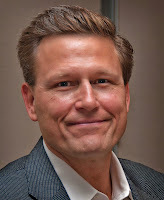 Baldacci is a devotee of Mark Twain's work - and a member of The Mark Twain House and Museum's Board of Trustees. 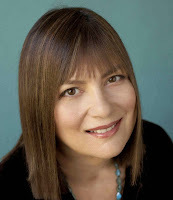 Hoffman has published 21 novels, three books of short fiction, and eight books for children and young adults. Her books - which include "Practical Magic," "Aquamarine" and "The River King," have been published in more than twenty translations and more than one hundred foreign editions. Added bonus! This evening will be the national book launch of The Autobiography of Mark Twain, Vol. 2. Benjamin Higgins, the editor of the autobiography will be in attendance for a book signing. Past events featured John Grisham, Baldacci, Jodi Picoult, Steve Berry, Sandra Brown and R. L. Stine. Tickets: Orchestra & Box Seats, $68; Mezzanine, $48; and Balcony, $28; www.twainmarkmywords.com; 888-736-2663 (toll free) or 203-562-5666; Box Office, 247 College St., New Haven, Monday through Friday, 9:30 am to 5:30 pm., and Saturdays 10 am to 2 pm. 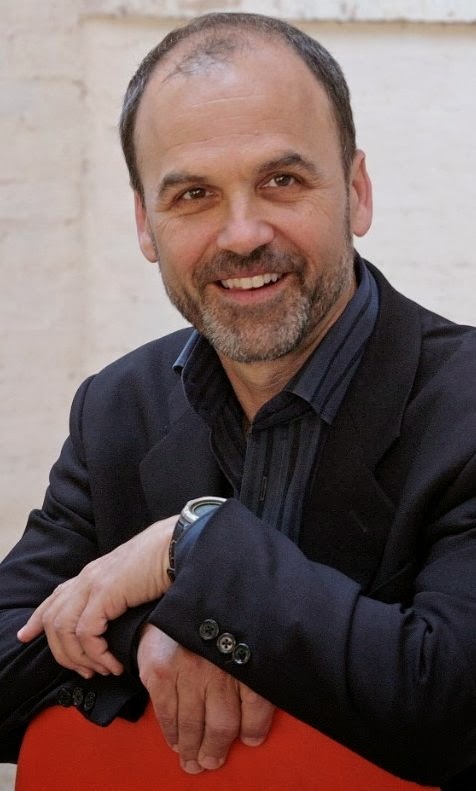 This benefit for the Mark Twain House includes authors Sue Grafton, Alice Hoffman and Scott Turow in conversation with David Baldacci moderating. Free family-friendly activities including arts and crafts, face-painting, tours of the backstage areas and “graffiti” walls, refreshments, film shorts and popcorn. Free. Tweaking the familiar until it warps; David Sedaris mines poignant comedy from his peculiar childhood, his bizarre career path, and his move with his lover to France. This New York Times' Bestselling author’s wickedly witty observations of the ordinary-bizarre are always sure to deliver insights and laughs. One of the most enduring shows of all time, Godspell features music by Stephen Schwartz, composer of Wicked. This timeless tale Jesus, friendship, loyalty and love is filled with popular hits like Light of the World and Day by Day. Bridgeport’s Downtown Cabaret Theatre opens its 2013-2014 season with Satisfaction: A Rolling Stones Tribute, the international touring tribute show dedicated to the Rolling Stones, the “World’s Greatest Rock & Roll Band.” Performances are scheduled on Saturday, Oct. 5 at 5:30 and 8:30 pm and Sunday, Oct. 6 at 5:30 pm. 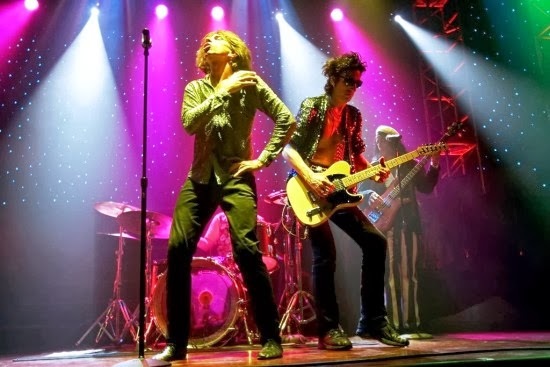 Satisfaction has been in production and touring since 2001 with more than 1600 performances. It is the only full time touring show of its kind in the world. The likes of Mick Jagger, Keith Richards and supporting cast bring a colorful performance to over 50 years of classic hits. The Downtown Cabaret Theatre is located at 263 Golden Hill St., Bridgeport. Reserved tickets are $47: 203-576-1636; downtowncabaret.org . The Edgerton Center for the Performing Arts at Sacred Heart University inaugurates its 2013-2014 American Legend Series with Mitzi Gaynor – in an Interview Live On Stage of the Edgerton Center for the Performing Arts on the Campus of Sacred Heart University in Fairfield Sunday, Oct, 27 at 3 pm. Gaynor’s appearance will be in the style of an ‘Actors Studio’ presentation hosted by Jerry Goehring, executive director of The Edgerton Center. In addition to video clips of her career, the afternoon will feature a talkback with the audience. Tickets: $25 - General Public; $15 - Senior Citizens/Faculty/Staff; $10 - Students: 203-371-7908 (Mondays through Fridays from noon to 4 pm; box office located in the lobby of the Edgerton Center; EdgertonCenter.org. The 2013-2014 American Legend Series also includes Surviving Mommie Dearest - A Conversation with Christina Crawford Saturday, Nov. 23 and Linda Lavin- Interview Live On Stage Sunday, April 13, 2014. Also coming up: Edgerton opens its 2013-2014 Retro Concert Series with Elvis Presley, Jr. - Burning Love Tour Saturday, Oct. 12 at 8 pm. The Mark Twain House and Museum has received a $10,000 grant from the First Niagara Foundation in support of several free public programs created to share the legacy of Mark Twain and other iconic American authors with the community. The grant will fund the lecture series "The Trouble Begins at 5:30" as well as the "Nook Farm Book Talks." Both of these free programs are designed to encourage community members to participate in engaging and entertaining cultural activities centered on Mark Twain, his legacy, and the rich history of the Hartford neighborhood he called home. Join Cinestudio and Hartford Stage for a showing of Roman Polanski's film "Macbeth" at Cinestudio at 7:30 pm Wednesday, Oct. 9, followed the next evening by a performance of Macbeth, directed by Darko Tresnjak, at Hartford Stage at 7:30 p.m., Thursday, Oct. 10.Tickets for Polanski's "Macbeth" at Cinestudio are $9 at the door. Tickets for Macbeth at Hartford Stage are available with a $15-off discount using promo code MACBETH15. (Discount offer valid for Thursday, Oct. 10,only. Offer not valid on Super Savers. Fees apply.) There will be a post-show discussion immediately following the Hartford Stage performance with Cinestudio Co-founder James Hanley and other special guests. Polanski's rarely seen film is often thought to be a reaction to the brutal murder of his wife Sharon Tate and their unborn child by followers of Charles Manson. Shot on the bleak Northumberland coast, is it a brooding and brutal cri de coeur, startling in its immediacy in the wide screen 35mm film format (UK/US, 1971. 120 minutes.)http://www.cinestudio.org/. Wesleyan University’s Center for the Arts presents the 37th annual Navaratri Festival, celebrating the traditional culture of India with performances by some of the country's leading artists, from Thursday, October 10 through Sunday, October 13, 2013 on the Wesleyan campus in Middletown. A special Navaratri Festival subscription package is available, which features a 15 percent savings on all three ticketed performances in Crowell Concert Hall: B. Balasubrahmaniyan (Friday, Oct. 11 at 8 pm), Shashank Subramanyam (Saturday, Oct. 12 at 8 pm), and Aparna Ramaswamy (Sunday, Oct. 13 at 3 pm). The Navaratri Festival subscription is available for $36 for the general public; $29 for senior citizens, Wesleyan faculty/staff, and non-Wesleyan students; and $18 for Wesleyan students: 860-685-3355; Box Office located in the Usdan University Center, 45 Wyllys Ave., Middletown; http://www.wesleyan.edu/boxoffice. Long Wharf Theatre’s $3.8 million Mainstage renovation project designed by Gregg, Wies and Gardner has been selected as an award-winner in the Build New England Awards Program 2013, run by ACG of Massachusetts, The Association of Commercial and Institutional Builders, an established trade organization. The Downtown Cabaret Children’s Theatre in Bridgeport introduces its new Fall season of cabaret-style theatrical productions for children and their families with How I Became a Pirate, about young Jeremy Jacob who is digging in the sand at North Beach when he is enthusiastically greeted by Captain Braid Beard and his gang of jolly Pirates. Jeremy soon finds himself recruited to help find the perfect spot to bury the Pirates’ treasure. This sea-faring musical features such songs as “A Good One To Boot,” “Green Teeth,” “I’m Really Just a Sensitive Guy,” “You’ve Got to Talk Like a Pirate” and more. How I Became a Pirate plays through Sunday, Oct. 27 at the Cabaret, 263 Golden Hill St., Bridgeport..
All seats are $20 (general admission ONLY). Advance tickets: Box Office, 203-576-1636; downtowncabaret.org; mail: c/o Downtown Cabaret Children’sTheatre, 263 Golden Hill St., Bridgeport, CT 06604. 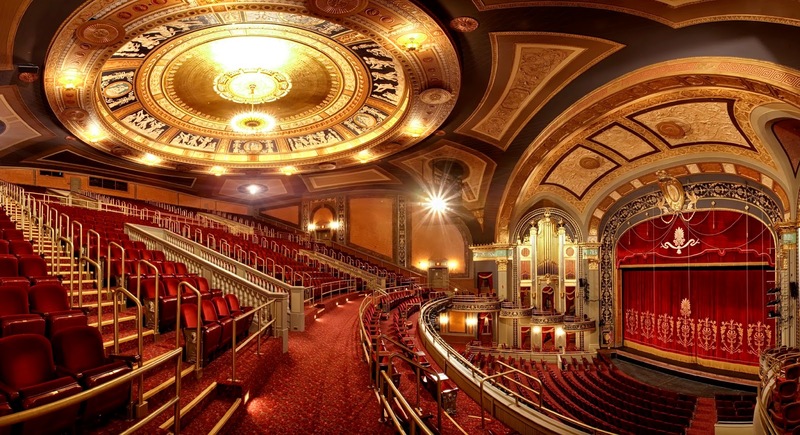 The Palace Theater in Waterbury is offering the public an up-close-and-personal opportunity to explore the 90-year-old venue’s historic design and backstage secrets by offering monthly, guided tours starting today from 11 am to noon. Scheduled to take place the first Friday of every month, each tour begins promptly at 11 am and runs for approximately one hour. The tours are led by Palace Theater Ambassadors, a core group of volunteers specially trained in the theater’s rich history, and are $5 per person. A special boxed lunch and tour package is also available for $20 per person. Twenty-four hour advance reservations are required to participate in the lunch and tour package. To make a tour reservation, contact Marketing and Public Relations Officer Sheree Marcucci at 203-346-2008. Info Marked a comic masterpiece at its Paris premier in 1843, Donizetti's Don Pasquale remains equally fresh and funny today with Salt Marsh Opera's full-scale production. With a full orchestra and a talented cast of singers, Don Pasquale will enchant audiences of all ages with gorgeous music and hilarious plot twists Don't miss this marvel. Info: Anna Netrebko and Mariusz Kwiecien star as the lovestruck Tatiana and the imperious Onegin in Deborah Warner's new production of Tchaikovsky's fateful romance. In this adaptation, the audience is pulled into the lives of characters from every walk of life, as the show moves episodically from old-fashioned farmhouses to elegant and extravagant ballrooms. Info: The National Theatre presents a major new production of William Shakespeare's celebrated play about the destructive power of jealousy. Olivier Award-winning actor Adrian Lester (Henry V at the National Theatre, BBC's Hustle) takes the title role. Info: One day after what would have been John's 73rd birthday, the Nutopians (formerly the John Lennon Song Project) return to the site of their 2010 sellout debut performance. A unique and compelling 8-piece ensemble that celebrates the genius and artistry of John Lennon with exquisite renditions of songs from his Beatles and his solo years, the band has inspired a whole new appreciation for the icon's music. Info: His voice will immediately identify him as the man who sings "Bluer Than Blue", "Give Me Wings", "That's That", "This Night Won't Last Forever" and other landmark songs. But more than all of that, his music shows a diversity, depth and heart that only come from years of dedication to a labor of love. Info: John Mayall, revered blues innovator and legendary progenitor of the white-boy British blues--whose band, the Bluesbreakers, has at one time or another contained such names as Mick Fleetwood, Mick Taylor, Peter Green, John McVie, Coco Montoya, and Eric Clapton; comes to the Kate. Mayall's life and career have inspired countless musicians - come see why! Info: Sylvia Scarlett is a 1935 romantic comedy film starring Katharine Hepburn and Cary Grant, based on The Early Life and Adventures of Sylvia Scarlett, a novel by Compton MacKenzie. Directed by George Cukor, it was notorious as one of the most famous unsuccessful movies of the 1930s. Hepburn plays the title role of Sylvia Scarlett, a female con artist masquerading as a boy to escape the police. Info: Be a part of "An Intimate Evening with Art Garfunkel" as you join an acoustic rehearsal with songs, anecdotes, prose and a unique audience Q&A session. Shelton has created an exciting new show that encompasses Americana, Soul, Country and Roots music. Famed music critic and writer, Robert K. Oermann stated "there's not a more soulful singer in Bluegrass than Tim Shelton". Event: Mystic Ballet presents G.R.A.B. Info: Mystic Ballet's intention is to take hold of the audience - exhilarate, inspire and awaken the spirit, with a tapas of diverse flavors to please the most discerning palate. Experience the best of contemporary dance with 4 works by today's most poignant choreographers. National Theatre Live will broadcast Manchester International Festival's electrifying production of Macbeth, with Kenneth Branagh (My Week With Marilyn, Hamlet) in his first Shakespeare performance in over a decade as Macbeth, and Alex Kingston (Doctor Who, ER) as Lady Macbeth. Info: Take advantage of a rare opportunity to see and hear musicians who've played with Sting, The Allman Brothers, Sypro Gyra, Celine Dion, Stevie Wonder, Blood Sweat & Tears and Sheryl Crow (to name just a few) when The Hollywood All-star Band performs in the intimate setting of the lovely, Katharine Hepburn Cultural Arts Center on Friday, October 25th at 8pm. Portion of the Proceeds to Benefit the Charter Oak Family Fund . Info: "Cash Is King" an extraordinary Johnny Cash Tribute Show that brings you back to the era of Johnny Cash and the Tennessee Three with a focus on the Sun Records and 60's Prison concerts time period. Ever since the Award Winning bio-pic "WALK THE LINE" there has been an ever growing interest in the music of Johnny Cash. People who never had the chance to witness Cash live now have an opportunity to relive the magic and experience what once was. Info: William Kentridge stormed the Met with his inventive production of Shostakovich's opera during its inaugural run in 2010. Now Paulo Szot reprises his acclaimed performance of a bureaucrat, whose satirical misadventures in search of his missing nose are based on Gogol's comic story. Info Join bestselling authors for a Halloween event including gourmet lunch! Hear lively presentations by Suzanne Palmieri (Hayes), author of The Witch of Little Italy and I'll Be Seeing You; B.A. Shapiro, author of The Art Forger; Brunonia Barry, author of The Lace Reader and The Map of True Places; and Roberta Isleib (aka Lucy Burdette), author of the Key West Food Critic murder mysteries. Psychic Medium Angelina Diana will talk about spirit communications and perform random readings throughout the audience. 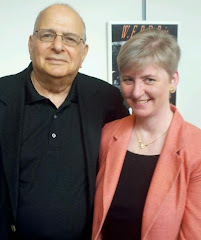 Meet authors Paul Ferrante, Last Ghost at Gettysburg, Sydney Sherman, You Are Not Alone, and a coven of other writers. There will be book signings, interactive puzzle painting by The Drunken Palette and more fun activities to benefit the Terri Brodeur Breast Cancer Foundation. Ticket price includes a gourmet box lunch and dessert. Cash bar, themed cocktails.